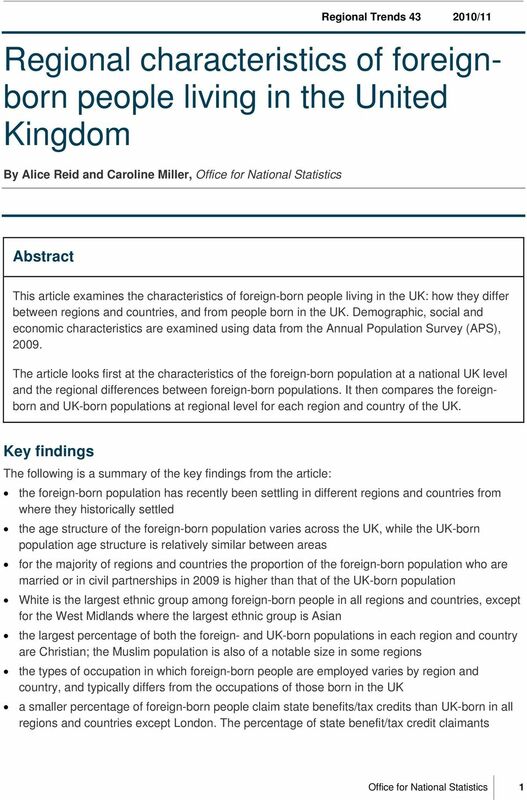 Download "Regional characteristics of foreignborn people living in the United Kingdom"
CA8 Annex 3 Annex 3 Population data: Current and potential service users This Annex sets out some of the key data we hold about the population, taken from the 2011 Census and categorised by protected characteristics. 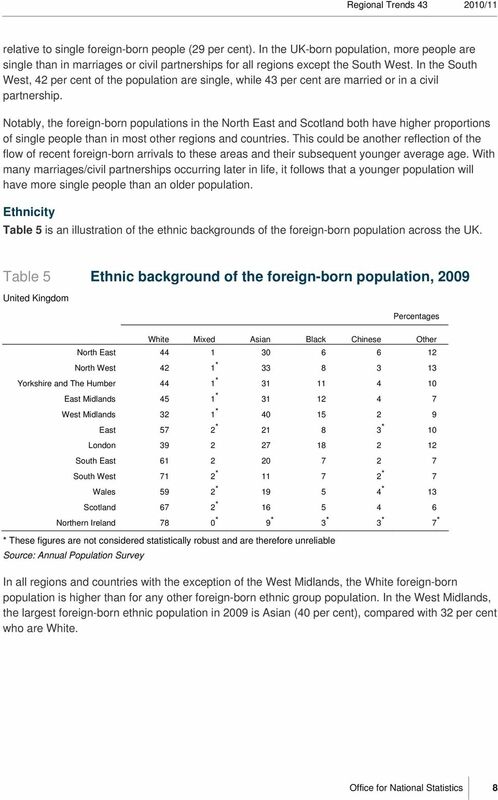 Who are the Other ethnic groups? 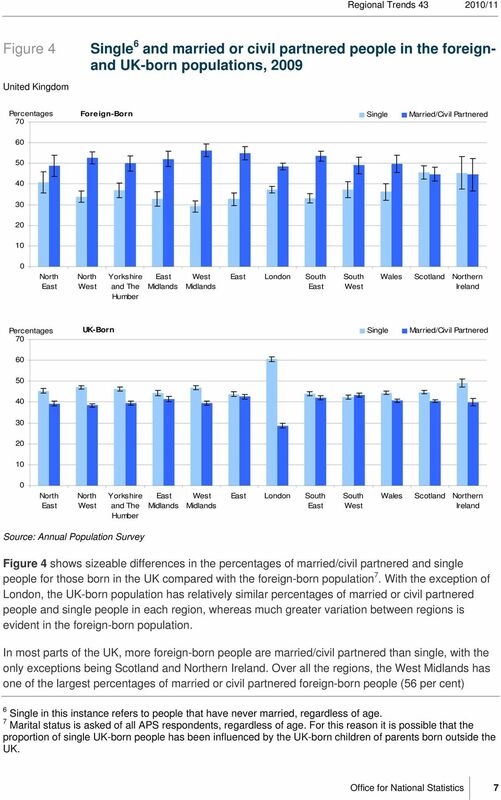 Employment of Foreign Workers Male and Female Labour Market Participation Kamran Khan This article describes the differences in labour market characteristics of migrants compared to the UK born population. This briefing is divided into themes, where possible 2001 data is provided for comparison. Information Action 2011 Census Second Release December 2012 Consultation The Office for National Statistics (ONS) has now begun the Second Release of outputs from the 2011 Census at local authority level. 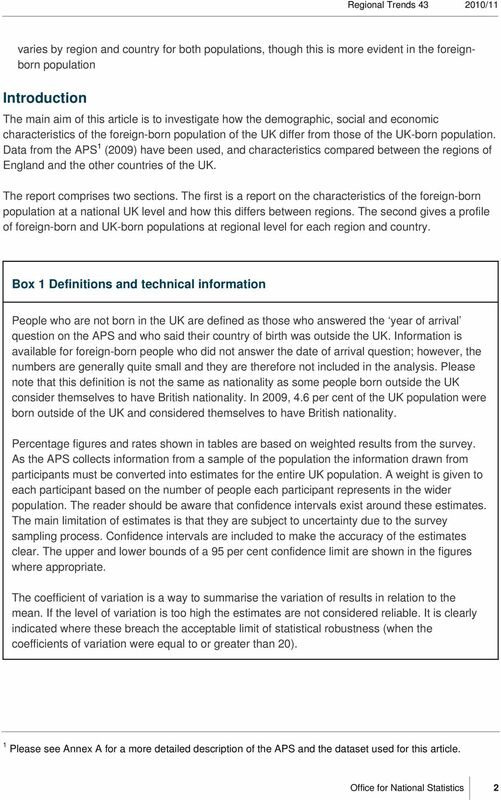 Definitions and methodology CO1.2: at birth at birth is the average number of years a newborn can expect to live if he or she experienced the age-specific mortality rates prevalent in a particular year. Tourism in Europe: does age matter? Health care in Scotland for UK passport holders living abroad If you have a UK passport and you live abroad, this factsheet tells you how you can get health care from the NHS when you are in Scotland. 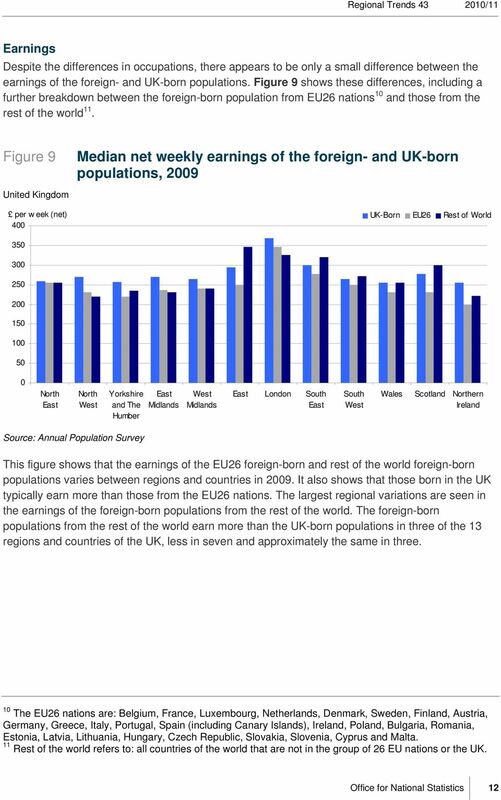 The UK population: how does it compare?